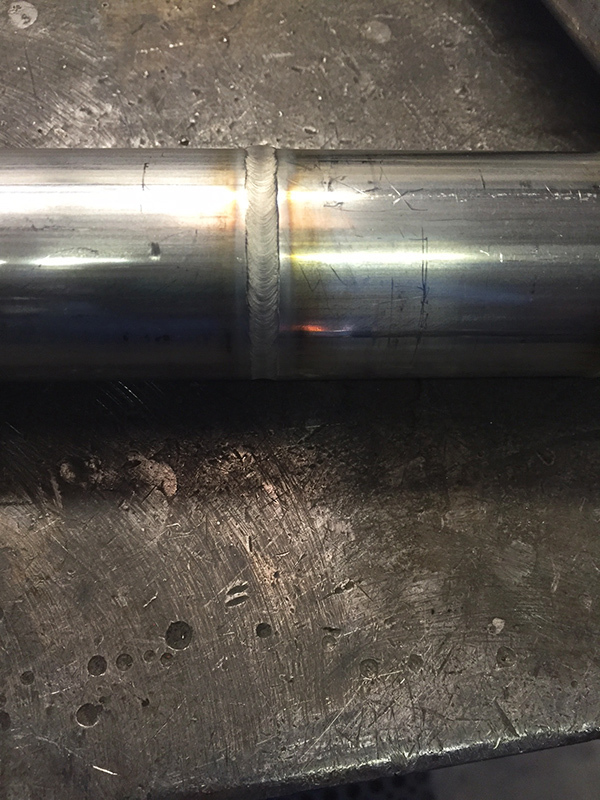 Welding small diameter tubing can be difficult. The tight radii often require expert welders to deliver precise torch manipulation with finesse. 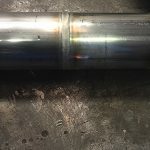 If the welder is not skilled enough, the out of position areas are at risk of poor quality due to gravity affecting the weld pool and ineffective torch angles. If out of position welds cannot be completed satisfactorily, the part must be rotated. However, some assemblies can’t be rotated because of size constraints or they might rotate off of center. 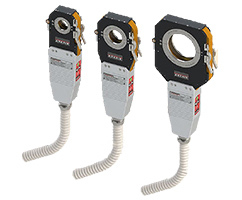 If a mechanized welding solution is desired for small diameter components, look no further than our Axxair Orbital Fusion Closed Welding Head Systems. 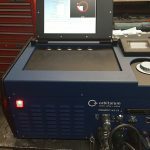 Axxair Orbital Fusion Closed Welding Head and the Axxair Orbital Inverter Power Supply. The Orbital Fusion Closed Welding Head fully encompasses the assembly being welded. 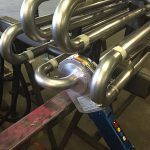 This means that an inert gas environment can be created around the part, preventing it from the risk of oxidation that it might be exposed to during a welding operation that relies solely on a gas nozzle. The Orbital Fusion Closed Welding Head also has a ring drive that enables full 360 degree motion around the weld joint, all the while keeping a consistent torch angle. Furthermore, it is capable of going over 360 degrees for when slope-in and slope-out parameters are needed. Update: Red-D-Arc now offers Orbital Welding Equipment from Axxair. 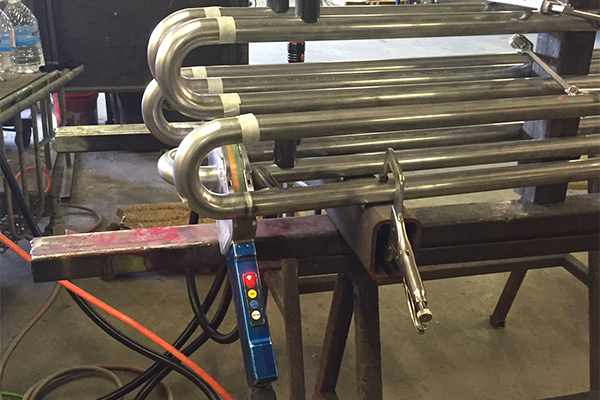 One of our clients, a machine shop based out of Opelika Alabama, needed a solution for welding stainless steel tubes and elbow sections efficiently that would be able to withstand hydrostatic testing of up to 300psi. 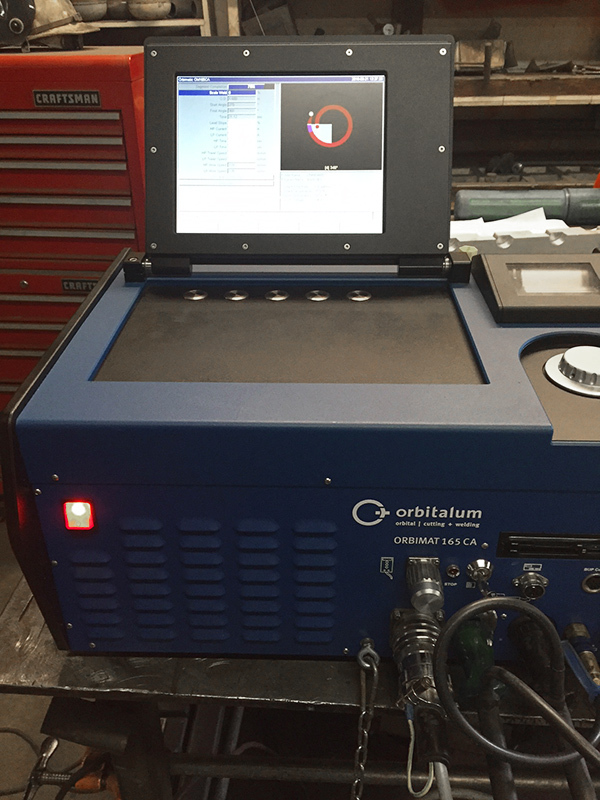 After taking the time learn about their requirements, specialists from the Red-D-Arc branch in Austell Georgia, worked alongside experts from Airgas to demonstrate how the Orbitalum enclosed orbital welding system would help solve their challenges. 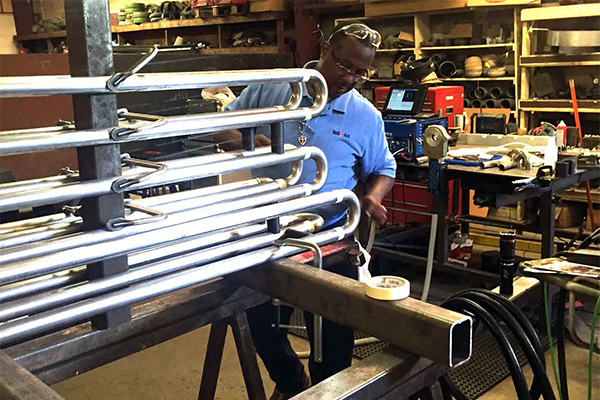 Red-D-Arc welding specialist Gregory Bellamy showed how the extremely narrow design of the Orbiweld 76S enclosed weld head was ideally suited for working in situations where space is limited. 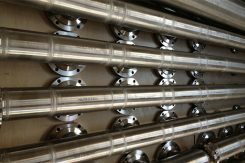 The Orbimat 76s was fitted with clamping shells (which are available for all dimensions of pipe) to ensure an exact match and strong hold. 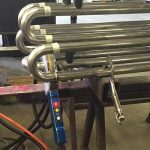 The pipe on this application was stainless steel tubing 1.500″ with a .035″ wall, diameter tubing (straight tube) and stainless steel elbow 180 degree 1.500″dia. with a .049″ wall. 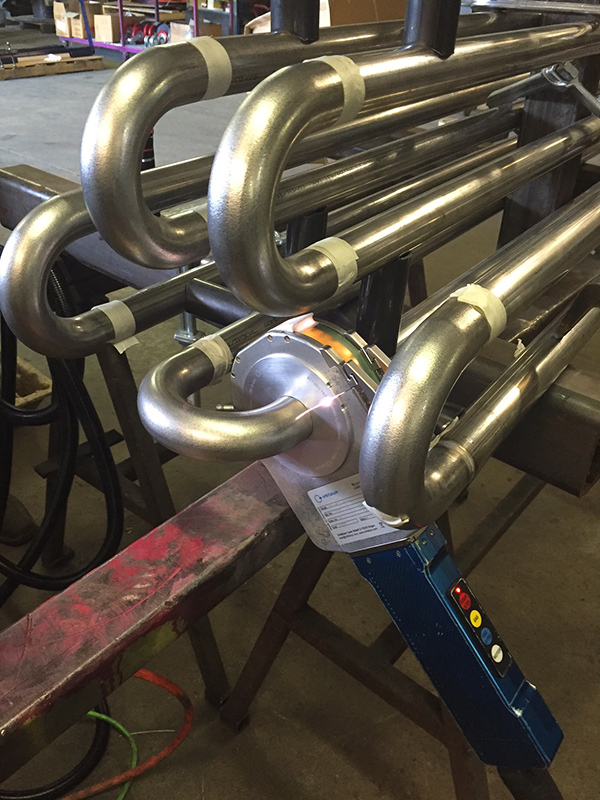 When the welds were complete, the welded pipes passed the hydrostatic testing at upwards of 300psi. Thanks to Gregory Bellamy and Rob Storch from Red-D-Arc as well as Wayne Blamire and Bill Hatter from Airgas for their support on another successful orbital pipe welding customer demo. 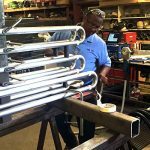 Pierce Metals Inc – a steel fabricator located in Bristol, TN offers structural steel fabrication, miscellaneous/custom steel fabrication, steel stairs, handrails and other steel products to the commercial and industrial sectors. Pierce reached out to their local Airgas team of Gary Killebrew, Chris Smithand Gary Roberts in search of a solution for cutting flat plate as well as large I-beams, on the same machine. Hypertherm suite with CNC, drives and plasma, incorporating the latest True Hole® technology from Hypertherm. Airgas supplied the gases, regulators and customer support while Red-D-Arc Cutting Services supplied the service, technical support and equipment. Thanks to the exemplary service provided by the Airgas Advanced Fabrication Team and Red-D-Arc Cutting Services, Pierce Metals signed a 5 year gas and consumables contract. Visit our plasma cutter rentals page to view our selection of portable plasma cutters.